Derby winner Queen’s Blade will head the field in the Korean Oaks at Busan Racecourse this Sunday. Last when stepping up in class and distance last time out against a challenging field following two consecutive victories. Others are more proven. 7th in the KRA Cup Mile at Busan in April and 6th in the Seoul Oaks trial. 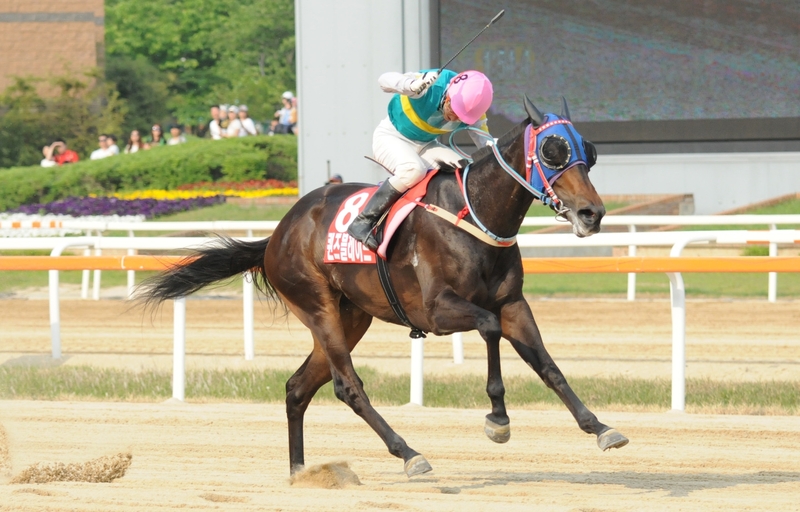 In between that she landed a class 3 victory at this distance to suggest she has potential and Seo Seung Un making the trip to Busan to partner her suggests an outside chance. An also-ran in the KRA Cup Mile but has shown steady improvement in two starts since, including a class 3 win at this distance in a reasonably competitive time. Likely to come from just off the pace and could be one to watch in the home straight. Disappointed in the Gyongnam DoMin Ilbo last time out and hasn’t done anything to suggest that this is her ideal trip. However, she has the fastest recorded final furlong of the whole field and if she stays, she may surprise. A bit of an unknown quantity, she’s yet to try further than 1400M. She’s undoubtedly quick though and is not without a chance of sneaking a place. She comes into this race after 5 consecutive wins. The toughest of those was only at class 3 – beating Jungang Gongju by a length. She’ll need to find more to win here but has great potential. Expect her to be looking for the lead early. Tried her luck against imported horses last month without success. She does have a win at this distance, however, and with Busan’s champion jockey on board, look for her to make a move around the home turn. Whether she’ll be fast enough in the straight is another matter. Korean-bred Sire and Dam means this is the purists’ favourite. Shan’t be the punters’ favourite though. 7 of her 8 starts have been at 5 furlongs and there’s little recommend. The winner of the Seoul Oaks Trial by 3-lengths at long odds, she’ll most likely be at reasonably long-odds to repeat. It was a slow time that day and while Geumbit Hwanhui is talented, she may find one or two too quick here. Never tried at further than 1300M and hasn’t been especially impressive in the process. Difficult to reccommend here. She’s never won in 12 starts to date and that’s unlikely to change here. She’ll find this field very challenging. The Derby winner. She’s run once since then, a front-running 12-length win over a mile at class 1 and that was enough to suggest that on form, she’s very difficult to beat here. Physically impressive, she’s a top quality filly. A 6-length win over this distance at class 3 last time suggests there’s more to come and although she’ll have to go much quicker than she did that day to compete here, she’s not without hope. Could be in with a chance of a place. Sent off as favourite for the Seoul Oaks Trial but finished 4th. She’d already shown she could compete at a higher level. A lot of improvement will be needed here though. Third at this distance in a decent time last month building on some decent results at sprint distances. Was behind Winner’s Marine that day but could go close. She won her first 5 races before crashing back to Earth in the KRA Cup Mile. Hasn’t won since but comes into the race off the back of two consecutive 2nd places, including one at this distance suggests that more is to come and she can’t be discounted.